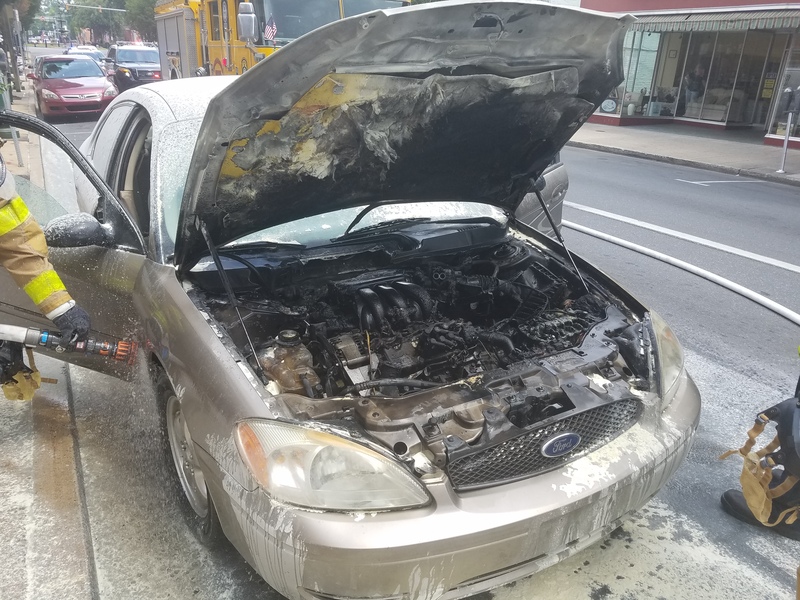 As lunch time traffic surrounded downtown Chambersburg, CFD was alerted for an auto fire in the area of 55 South Main Street. Engine 1-2 and A/C 1 arrived to find a working fire in the engine compartment. 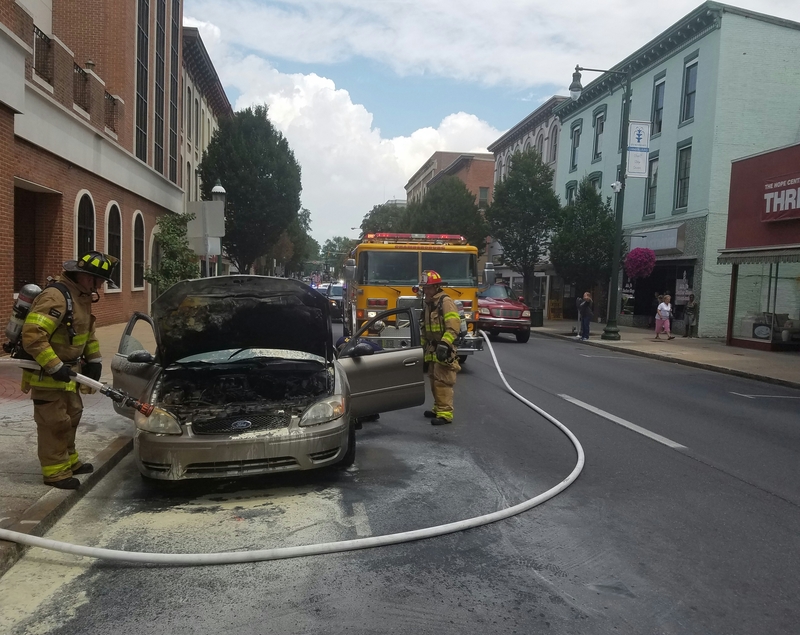 Units were on the scene for under 20 minutes.